This one was fun. I love to do the teacher ones. I find them always to give me a challenge. I also like to ink my apples. I cut this in a beige cardstock then inked with warm red fluid chalk for the apple, I used lime pastel fluid chalk for the leaves and I used versa color 54 brown for the stem. I had fun inking this. 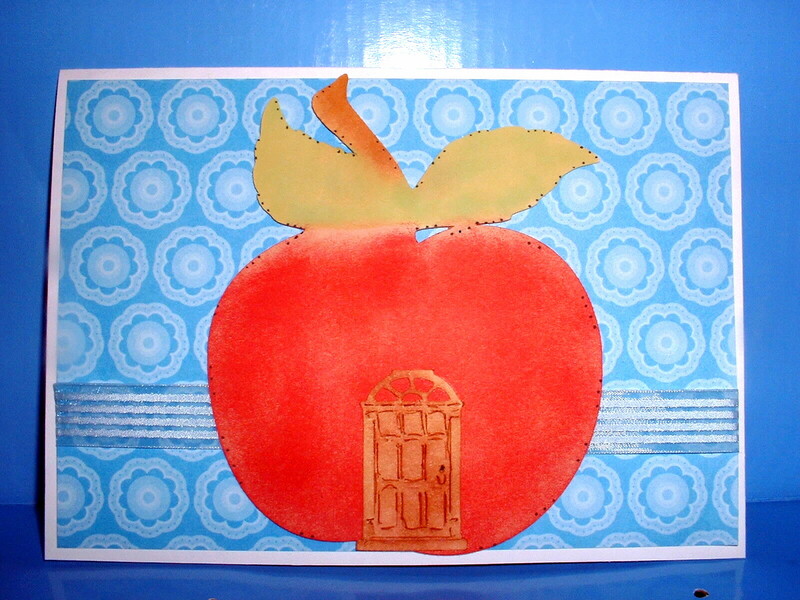 The apple is to be the school with the door. I wanted to do the windows, but my cricut was too busy eating them up for lunch... ok ok I know not funny..I tried.